I’ve been chewing on Veve for a few days. Sometimes with Big G and sometimes without, but I still don’t know… I don’t know the answer to this question: how do I really feel about this movie? Let me try and write it out. First scene. While I was trying to get used to the jungu with a Kenyan accent, I missed the first buzz of the movie. You know, that thing that happens to start stirring up trouble and the plot ensues and thickens before it is resolved? That. I missed it, but I was quite pleased with the jungu in Meru. 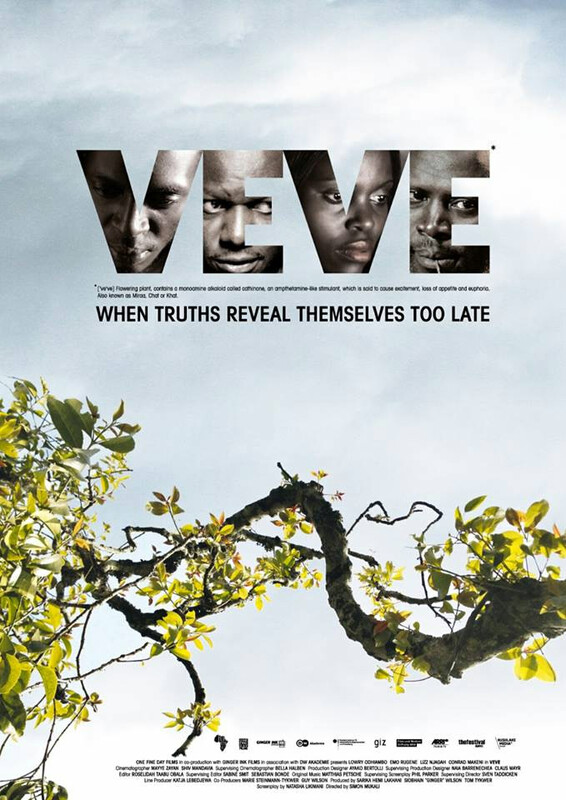 Veve is set and shot mostly in Meru. The intrigues of life in a growing town are evident and soon you see that there is much more to the town than a bustling trade that is better left ignored and untouched. The story is centred around a politician, Amos Munene (played by Lowry Odhiambo), whose greed pushes him into a determined fit to make more money than he would know what to do with. When possessed by this scheme, Amos messes with a few bad men. And each, including Kenzo (played by Emo Rugene), decides to exact their own punishment on him. Naturally it takes a good chunk of the movie to execute a fitting revenge and we like that kind of thing, don’t we? Why can’t he just die? There was no love lost between the audience and man like Munene. From the moment he came on screen he had this glint in his eye. Nothing like John Rambo or anything, it was a lot more familiar; more Kenyan. More rogue Kenyan politician type. 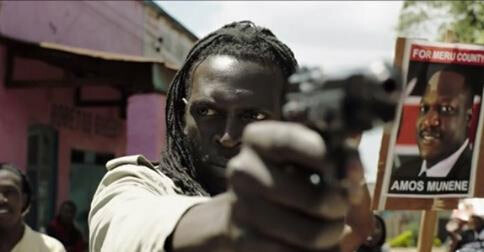 Indeed the film is very Kenyan. The names, the homes, the wazees in Meru, the philanderings that happen in local bars and even the fact that we are not used to seeing other Kenyans playing peekaboo in bed… I’m not saying it doesn’t happen, it was just interesting. The ‘adult’ scenes are cautious. My greatest wish, however, was that somebody in the movie would say “speech” instead of “hotuba”. The superstars of the movie for me were Sammy (Conrad Mukeni) and Delvin Mudigi (Sauti Sol), who played their roles with so much ease you couldn’t help but be drawn in. Also of note is the young Kago, who in real life is a reformed street boy. I think the 95-minute movie, directed by Simon Mukali, should have gone on for another 30 mins. Lizz Njagah’s character Esther had just gotten wings to fly! Also, what happened to the jungu’s video?? (You will understand this question after you watch it). Would I watch it again? Yes. Would I recommend it others to catch on big screen? Yes.. Does it pass? Yes.. A solid 6.25/10. Thank you Sauti Sol for being a part of the soundtrack. By the way, its showing at the Junction Mall in Nairobi this weekend. Chew on that. I like your legal-film-support – NO PIRACY…I shall be in the 254 soon, labda nitaenda tu nione moofie. Cheers!